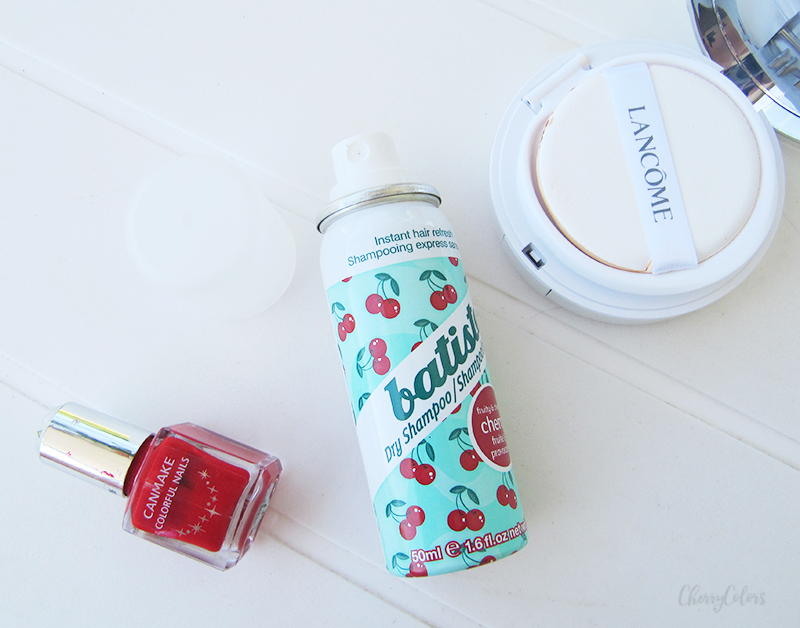 Batiste Dry Shampoo Cherry - Cherry Colors - Cosmetics Heaven! Batiste Dry Shampoo is a well-known brand to all beauty-obsessed people, including me. And even if I heard about it for years, I never purchased my own can of it. I received my spray can from Ličila.si who started carrying them for the first time. I heard that you can get it in Muller too, but I didn't find them in my Muller because I guess it's too small? I must start by saying that I have used several other dry shampoos, like the Balea dry shampoo (first version) with which I almost choked because of the overpowering-can't-breathe effect it had on the part of the room I was in. Or the Schwarzkopf Dry Shampoo which I did like (because I could breathe while using it) but it came with a higher price and less content in it. My all time favorite was the Oriflame Dry Shampoo which did everything I wanted and hope it would do. The next in line was the Subrina Dry Shampoo which I found did nothing to my hair (unless I was willing to use half a can of it on my hair) which promptly ended my dry shampoo search. I love cherries, can you say? So I was ecstatic to receive this well-known product with a cherry scent. I used it one day when my hair was super oily (but not really dirty), by brushing out my hair and then spraying it like there's no tomorrow. I used half of the can for it. I think I overdid it, haha. Yes, I totally overdid it. I forgot how to use dry shampoos because usually, I don't even bother with them. After about 10 minutes I used a towel to clean out all the residue. I think that a brush may be a better idea because I kept getting white flakes all around my face. For the whole day. But my hair did look clean! Of course, I now must learn to use this dry shampoo, so I won't be wasting half a can with every use. 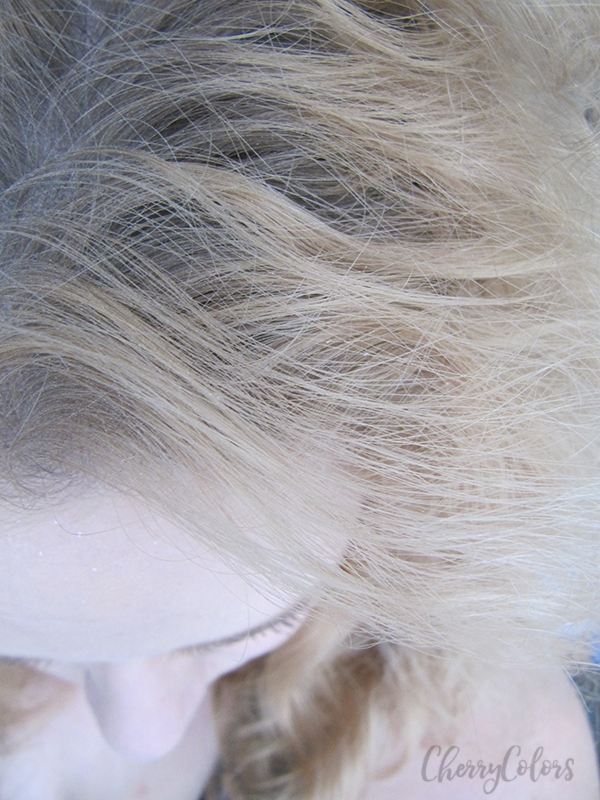 I think dry shampoos are wonderful to in-between days so you're not overwashing your hair. I was hoping for something more cherry-like but there wasn't really a cherry scent. It was an artificial but pleasant scent that isn't overpowering. I guess that it just doesn't matter what scent it is - it dissolves in a couple of minutes (on the hair). - You really need to brush it out or you get flakes! I like the design - it is one of the prettiest dry shampoo cans I have ever seen. The smaller version (which I have) has the extra cuteness factor because it's so damn small (50ml). I gave it 3 cherries out of 5 because I was left with white flakes (it was my own fault, but that just means it's not idiot proof) and because the cherry scent it really isn't a cherry scent. I will repurchase it, but just because I am curious if another version of it, may be a product I will be using bi-daily. Did you ever try a Batiste Dry shampoo? What did you think of it?